What are CC Creams? | Memorable Days : Beauty Blog - Korean Beauty, European, American Product Reviews. You probably can't miss BB creams in the drugstores nowadays, they are everywhere! However, have you heard of CC Creams before? Most of you know that all of these creams aren't new. BB and CC creams were launched in the market for a long time ago in Asia, but only in the past years companies were startng to hype it all up in Europe which made everybody curious about it. Today I will explain what CC creams are. If you are living in Europe, I'm sure that you will see it in your local drugstores more often. CC stands for Color Control. In the marketing world they call it "the innovation of the BB cream" which is just a clever marketing term. It offers pretty much the same benefits as a BB Cream including moisturizing, sun protection, it evens out the skintone, it has anti-aging properties, whitening and skin repair benefits. However, there is a difference between the two creams. CC Creams has a lighter texture and it will give a more radiant, healthy and dewy look compared to BB Creams. Also it has a non-oily and long lasting formula. CC creams seems to be perfect for people with a dull skin since it creates a luminious complexion. You can see it as a daily tinted moisturizer and highlighter in one with extra benefits that I've mentioned above. Just like the BB cream, most brands will provide 1-3 shades only. Be aware that Asian and European CC creams are different. Some Asian CC Creams may be a bit too white for those with a darker skintone since it contains whitening ingredients. However, more and more European brands are offering CC Creams as well, such as Chanel, Rachel K, L'oreal, Juice Buity, Clinique and Olay, so there might be some CC Creams without whitening ingredients. I personally haven't tried CC Creams before, but I'm quite curious if it really will brighten the skin. I think the oil-free formula and the promises of a lighter formula that brightens and looks more natural does sound appealing. I probably will purchase one soon, so I will keep you girls updated. The prices of the current CC Creams that are in the market are quite affordable as well. 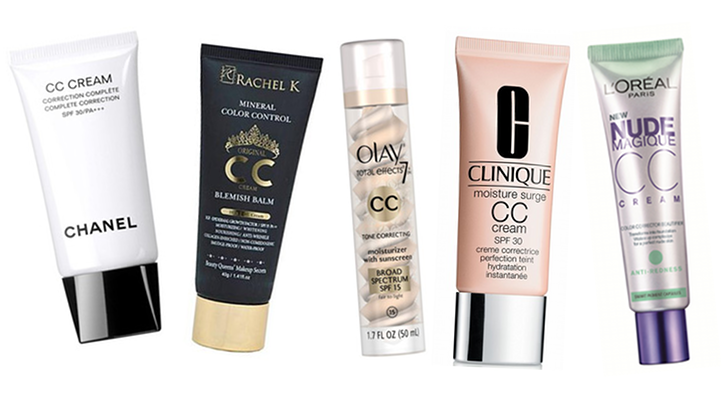 Have you tried a CC cream before?